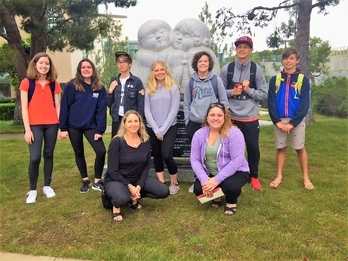 Since 1984, the Newport Beach Sister City Association, in conjunction with the Newport-Balboa Rotary Club, are selected six to seven middle school students to travel to Okazaki for a ten-day visit in July. Every Fall these same students host their Japanese friends here in Newport Beach for about a week. The exchange was founded by Newport Beach resident Wendell Fish along with Okazaki resident Maso Kato. Newport-Balboa Rotary and Okazaki International Association.